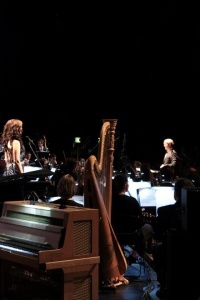 Kaitlyn has been the vocal soloist with The Lord of The Rings Symphony since her debut with the New Mexico Symphony and conductor, Alexander Micklethwate at the age of 15. 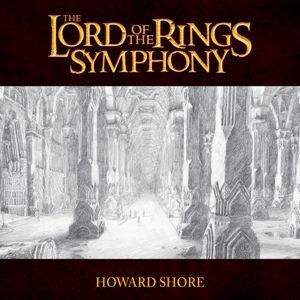 Since then she has performed this monumental work with many of the world’s finest orchestras with a variety of conductors, including Howard Shore. Mr. 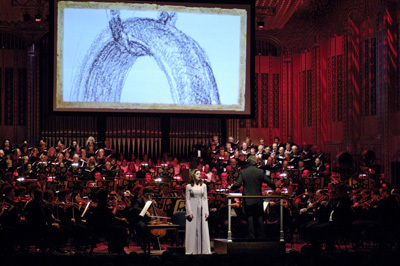 Shore invited Kaitlyn to perform the Academy award winning “Into The West” when he was honored by the Grammy’s in New York City. 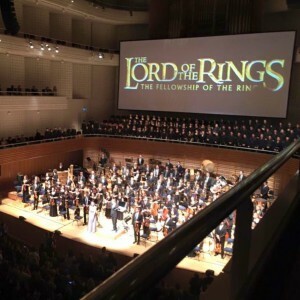 He recently invited her to be the soloist for The Fellowship of the Ring, a new version of the first film of the trilogy performed live with full orchestra and chorus to a 700 square-foot High Definition screen. Star of the show was soprano Kaitlyn Lusk, a teenager from Pennsylvania with a beatific voice and stage presence to match. Her stylish performance of the wrenching Gollum’s Song and Shore’s 2004 Oscar-winner Into The West from “The Return of the King” went straight to the heart and brought the audience to its feet. The Lord of the Rings Symphony: Six Movements for Orchestra & Chorus was recorded live in Lucerne, Switzerland by the 21st Century Symphony Orchestra and Chorus and soloist Kaitlyn Lusk under the direction of Ludwig Wicki. The CD, released on September 13, is available at Amazon, Barnes and Noble, or your preferred retailer.